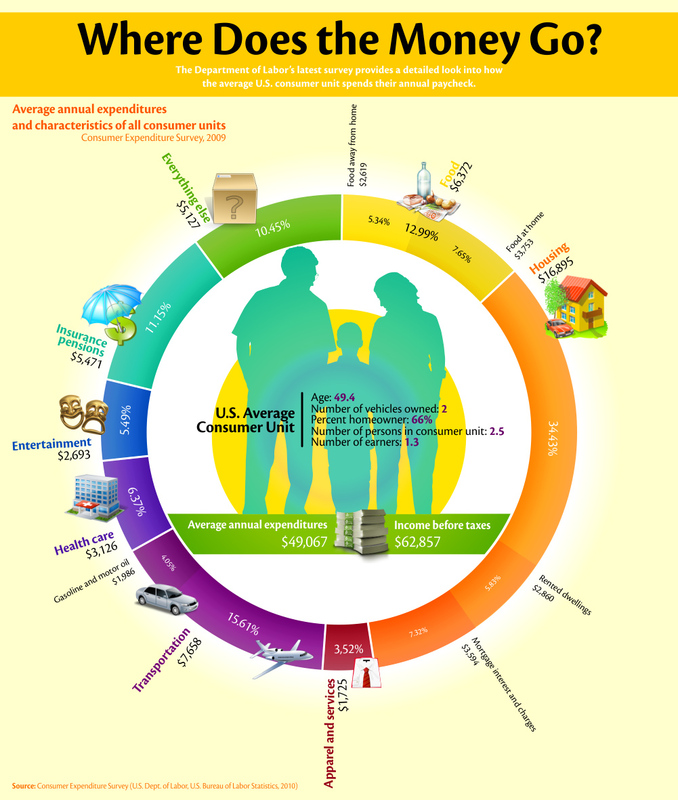 In my last post I discussed the average American “consumer unit’s” yearly spending on (among other things) groceries. According to the survey data, Americans spent about $125 per person per month on groceries. So the average 2.5 person unit spent $312 per month. On the other hand, the USDA keeps detailed monthly statistics on how much it costs to buy a pre-selected list of groceries, enough to feed the average child, teen, adult, senior, etc. When I looked at the most recent data available, I noticed that something didn’t add up. That $312 per month from the spending survey is lower than even the thrifty “family of 2” plan provided by the USDA, which allocates $374 for a couple with no children. There’s no way the average American unit can beat a “thrifty” shopping plan. It looks like a case of “Lake Wobegon syndrome,” where every family is above average. And I was feeling pretty good about our family’s slightly-above-average grocery spending, so maybe it’s too early to toot my own horn. I sent an email to Mark Lino, Economist at the USDA to see what gives. Since it’s a holiday weekend, I doubt he’ll get back to me right away. I’ll keep you posted. The USDA updates the chart every month, as food prices change. I’ll update the spreadsheet each month when I do my Your Money Or Your Life activities. Should you have a garage sale, or give it to charity? Trent at The Simple Dollar has a great post about how charitable donations affect your income tax return, but he only covers cash donations. The gist of his post is: you reduce your tax bill roughly a quarter for every dollar you donate (Adjust this up or down depending on your tax bracket). One thing we do often in my house is donate goods to Goodwill (which are considered “in-kind donations”). We started the habit when our family of 5 lived lived in a 900 square foot cottage and we had to mercilessly cut down on our physical possessions. Most non-consumable things that came into our lives were either donated, or offset by donating something else. Now we have more room to spare but old habits die hard (and this is a habit we let live anyway). At one point, we tried a garage sale, but it was very hard work and when I thought about it, the numbers don’t even add up, when you take into account the value of your time. If I can get 25 cents on the dollar just for giving things away, why should I bust my chops to sell it at maybe 75 cents on the dollar, if I’m lucky? Take for example this awesome baby food mill we recently donated. It was probably worth $60. I would have put it on craigslist for $45. Oh, gotta get out the camera and take some pictures of it. Then use craigslist, my favorite 1998-looking website. Then field emails from mostly spammers, a few well-intentioned but flaky people. Oops, my ad expired, time to repost it. 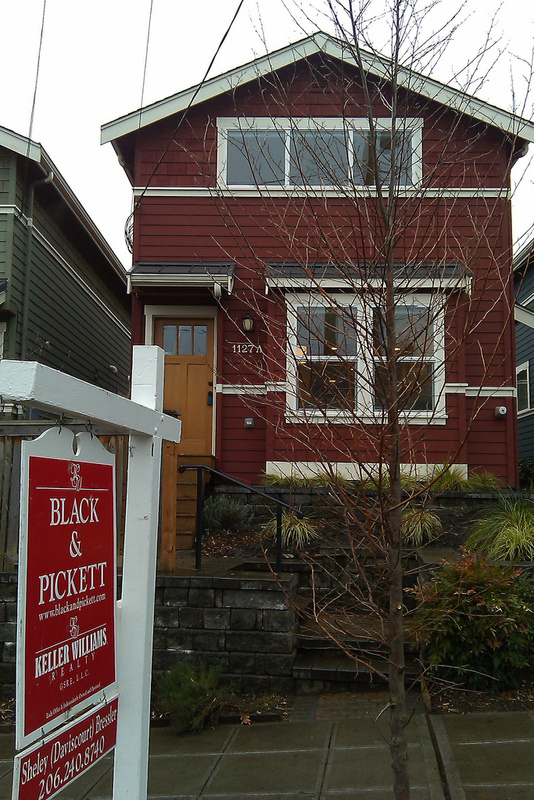 Now I have a buyer, but they want to meet me halfway, which means a car-ride to the QFC parking lot, or whatever. You get the idea. I eventually make $40 (the buyer knows how to bargain) minus the cost of driving, but I probably spent 4 hours of my time to make the sale. That’s under $10 an hour. No thanks. On the other hand, I put it in the Goodwill bag, and bam there’s $15 off my taxes and the good feeling that someone else is going to be able to refurbish it and put food on their table (because refurbishing it is their job, not because it’s a baby food mill). Some charities even pick up your donations, but we go to Goodwill frequently enough that it’s not worth the trouble of scheduling a pick-up from another charity. 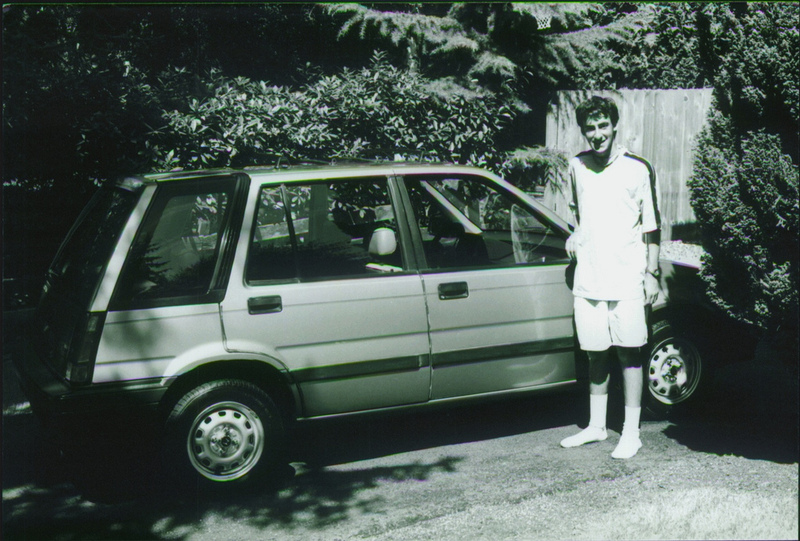 We even donated our old car, when we decided to become a 1-car family. Big or little, it doesn’t matter. Now it’s gotten to the point where when we get something new, Venessa and I usually just look at each other and say “Goodwill box.” Of course this doesn’t apply to hand-made gifts, stuff that’s given from the heart, or items intrinsically valuable to us. Donating so much of our stuff helps us live simply, it feels good, and it frees up more time to do the things we love. Then when tax time rolls around each year, we get a little boost in our pocketbooks. Imagine how awesome thrift shopping would be if everyone did this? How much do you spend on health insurance? The plan is a complex “health fund” (Aetna also offers the standard PPO or EPO, but that would be boring and the premiums for those plans are higher). The first $1500 of medical/drug expenses each year are covered 100% by Aetna (that’s the “health fund”). If unused, it rolls over to the next year but we use it up about half-way through the year, at best. 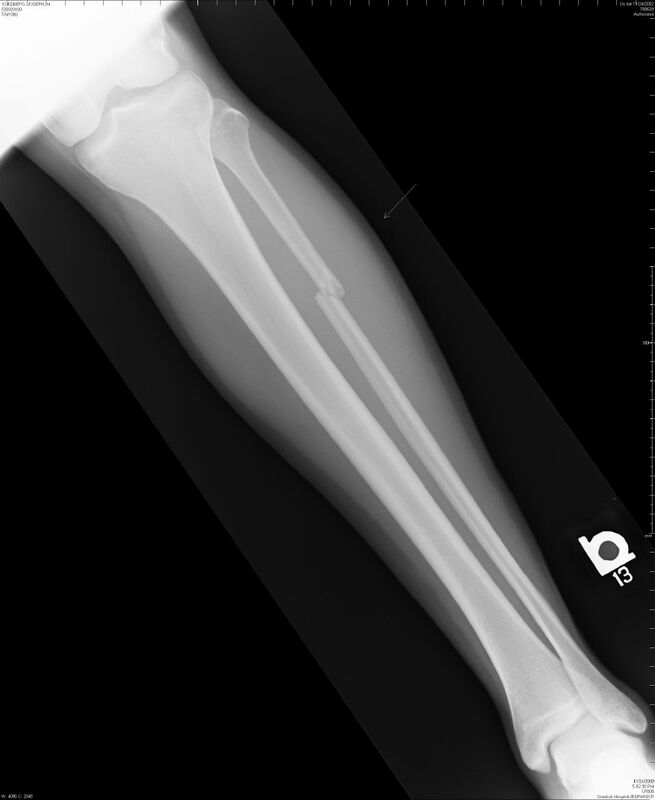 The next $1500 we pay 100% out of pocket (they call it the deductible). After that, it behaves more like a traditional PPO. We can go to any healthcare provider. In-network, we pay a 10% co-insurance. Out-of-network, I think the co-insurance goes up to 30%, but there are so many doctors in-network, I’ve never needed to go out-of-network before. “Preventative care” like yearly physicals and well-child visits are covered 100%. “Alternative care” such as acupuncture and massage are also covered, up to a certain amount. Physical Therapy (including chiropractic) is covered up to 25 visits a year. Prescription drugs are covered at about the same rate, for generics at least. The 10% co-insurance applies to all these. For vision, we each get one eye exam, plus a pair of eyeglasses or an order of contact lenses per year. I think this is a pretty good plan, and I consider myself very lucky to have it as an option through my employer. While I don’t think it’s practical for us right now (we have 3 children who still need car-seats), I decided to live the car-free life vicariously by running the numbers to see if it’s at least financially feasible. Zipcar is a car-sharing service. The closest car is by the grocery store in our neighborhood. Not totally convenient, but at least it’s available. Here’s a site that lists taxi fares. Taxis get you from point A to point B directly, but they are rather pricy. They’re good for errands where you need to schlep a lot of stuff. Uber is a new towncar service that features quick pickup, online payment, and nicer cars. It would only be used for times when we needed to get somewhere fast. Finally, the lowly metro bus. It’s cheap, but service is constantly being cut back. Pair your bus ride with a bit of a walk or bike ride, and you can get almost anywhere in the city. If you have the time. Total cost: $339 a month, approximately the cost of car ownership. Free options: Cycling and walking. Not only are they free, but you also get exercise so you can cancel that gym membership (and also save on long-term healthcare costs down the line). Bumming rides from others for the cost of fuel sometimes works, but don’t become a pest to your friends and family. This is something I’ll periodically check in on, as our children age and the car-free lifestyle becomes more realistic for our family. I think it sends the right message to our children that skills such as creativity, physical exercise, and advance planning are more rewarding than simply getting behind the wheel whenever you have to get somewhere. Best of all, those are skills you can teach children whether you’re car-free or you have an entire fleet of vehicles in your yard! For this step you have a choice: you get to decide if you’d rather do an art project (right brain folks) or a spreadsheet (left brain folks). Either way, you’ll use your handiwork to visualize your income and expenses from the Monthly Tabulation (Step 3). The chart will show you the trend in your financial situation and will give you a sense of progress over time. The transformation of your relationship with money will be right before your eyes. Get a large sheet of graph paper, at least 18 by 22 inches, and draw a graph on it. FITF reader Jeremy told me about a site where you can make and print your own graph paper. The horizontal axis represents time (months), and the vertical axis represents money. For the later, choose a scale that allows plenty of room above your highest monthly income (you’ll see why in Step 7). Use different-colored lines for expenses and income. Christmas Colors. Who said I don't get into the spirit of the season? 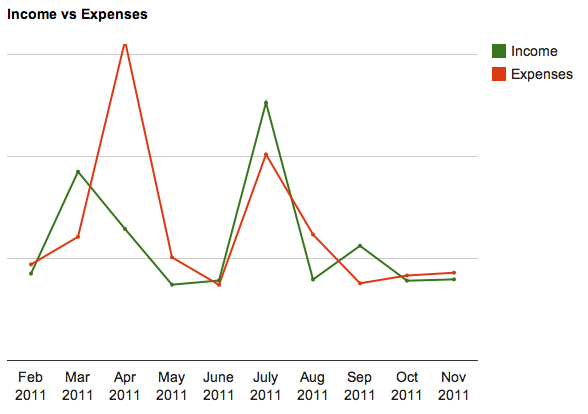 Side note on constancy: See that first big spike in expenses? That month we sold our house at a loss and it cost us. The second spiky month (July), we came into some money and immediately paid off debt. I could have skipped tracking those months, with the rationale that they weren’t “ordinary” months. But really, what month is “ordinary”? It’s more important to make a habit of following these steps every month, and not evaluate how your month went relative to some “ideal” month. Just do it! This chart will become the picture of your progress toward Financial Independence, and you’ll use it for the rest of the program. In fact, in Steps 6 and 7, we’ll cover ways to make the expenses line go down and the income line go up, respectively. And in Step 8, we’ll add a 3rd line to the graph that will totally blow your mind! So if you plotted it on paper, put it somewhere you can see it. If you use a spreadsheet, save the file on your computer desktop where you’ll notice it. If you used Google Docs, just remember to look at it next time you’re in The Cloud. Dec. 26th is “Free TV Day!” That is the day everybody puts their working tv in the Free section of Craigslist. Anybody who gets a new flatscreen for Xmas invariably hooks it up right away and wants to get rid of the old one ASAP. Start scanning the ads the night before and be ready to pick it up quick! Frugality is a mindset. Buy low, sell high. Be greedy when others are fearful, be fearful when others are greedy.